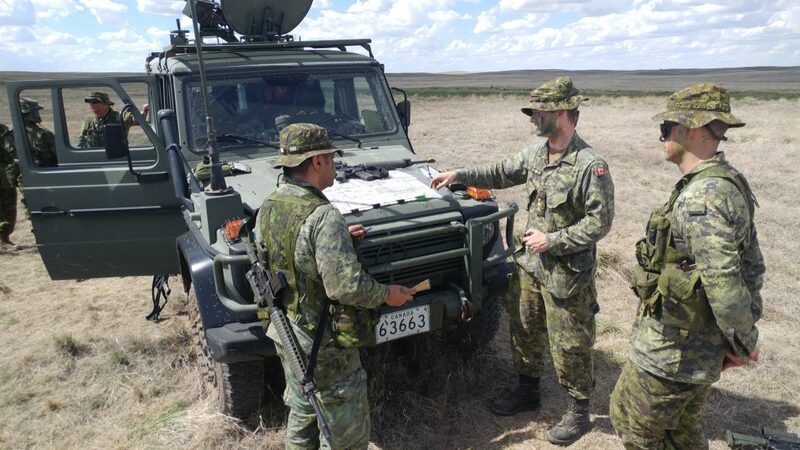 Exercise Armoured Sabre was held in CFB Suffield, from May 4 to 6, 2018. The purpose of the exercise was to help DP3: Armoured Troop Warrant course candidates familiarize themselves on how to lead a troop, through the use of radios, G-Wagens, mounted weapons and careful planning before the trace. This familiarization also helped soldiers sharpen their driving skills and C6 General Purpose Machine gun drills, as Non Commissioned Officers practiced crew commanding. With the practice of a zone recce and route recce, the troops could asses themselves on the go with the constant direction of their crew commanders and troop leader. Through the constant practice of those tasks, soldiers can improve and broaden their knowledge and mastery of reconnaissance warfare. Ex Armoured Sabre also honed the ability of the King’s Own Calgary Regiment to work closely with other units. 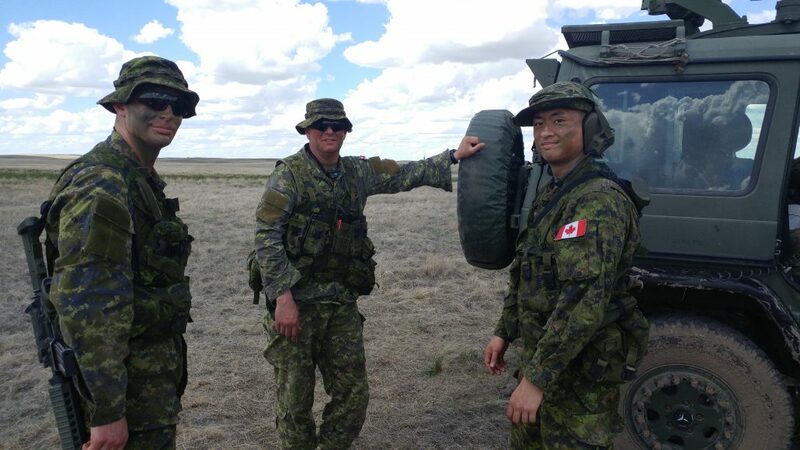 The exercise was also the qualification exercise for the DP1: Armoured Crewman course of the South Alberta Light Horse. The King’s Own and the SALH had to practice coordinating resupply efforts and passage of information through a central command post (CP), which needed to provide command and control for a variety of complex operations. This provided opportunities for our officers to coordinate a functional squadron-sized element in a realistic setting. King’s Own troopers got to work on their off-road driving, while taking directions from their crew commanders, and while functioning as a crew within a reconnaissance troop. The importance of being a recce driver is that they not only get the crew to and from their destination, they are key to the crew’s ability to ‘fight’ their vehicle, and to do it while covering ground quickly and within the context of a changing tactical situation. An although a member has one role in his/her crew, each soldier must be able to interchange and know the other positions within that crew – from being the gunner, the driver, or the observer, whose expertise lie in carrying out dismounted drills. The soldiers at the exercise found the experience from the weekend enjoyable. Overall, the exercise for each of the soldiers who attended was a great experience, but it also highlighted things the troop must improve on, down to the individual level.